Serving our community since 1792. Small groups of people began to settle on the west side of the Niagara River in the 1780s, many choosing to live under British rule rather than be citizens of the new United States of America. The new arrivals in Niagara formed several communities and a few church denominations began to hold informal services in residents’ homes. One such group were Anglicans (Episcopal Church in the USA) and by 1792 home worship services were first recorded. 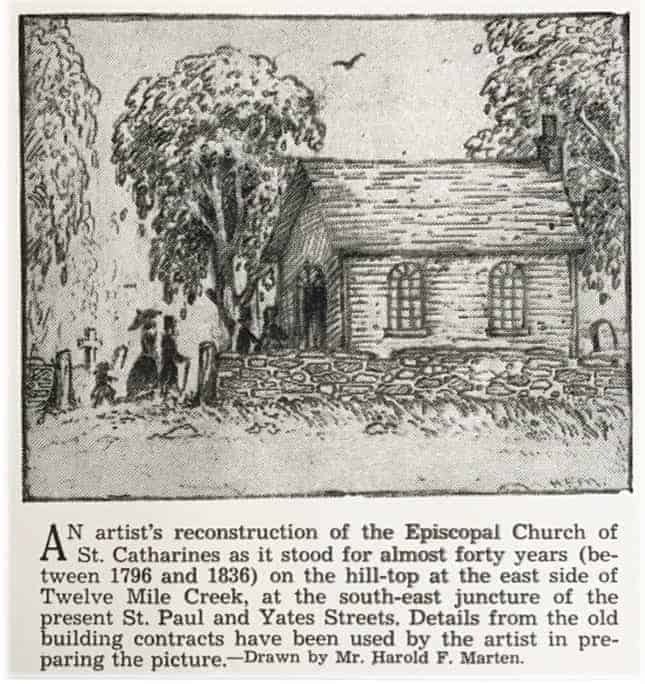 Those living in the area now known as St. Catharine soon felt the need to erect a church building and it opened in 1776, located close to the eastern end of the present Burgoyne Bridge. This was not strictly an Anglican building, but more like a community church used by several groups. Lay members of the congregation, most of them Anglican, were in charge with occasional visiting clergy. After the end of the 1812/13 War, the Anglican Bishop in Quebec, then having jurisdiction in Niagara, indicated that he wanted the church to become distinctly Anglican and that happened gradually. 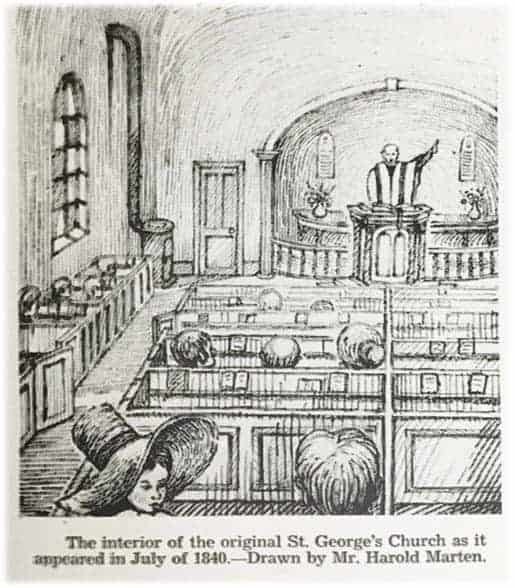 As the village of St. Catharines grew, especially after the opening of the Welland Canal in 1829, the need for a new and larger church building was necessary and the present St. George’s Church opened in 1840. A resident Anglican priest had lived in the village after 1828. While there have been some difficult times for the parish through the years, the congregation has also enjoyed prosperity and great strength, with capable and imaginative lay and clergy leaders. It has always tried to serve not only the needs of the congregation but of the wider community as well. St. George’s continues today as part of the Anglican Diocese of Niagara and fulfils its ministry under the leadership of a rector, assistant clergy, churchwardens and many other lay leaers. The Reverend Martha Tatarnic became rector in 2014 and the parish is growing, as well as expanding its ministry within St. Catharines and area. Everyone is welcome to become part of the joyful spirit-filled worship, share in spiritual vitality and look to the future together in a strong spirit of hopefulness. All of these signs and more are evident in this old, yet always new, parish. 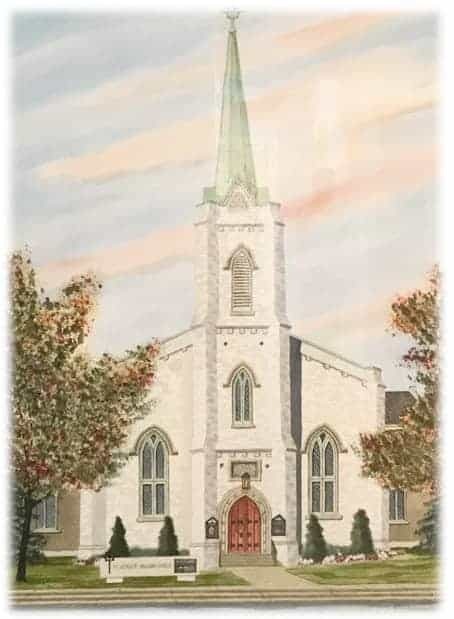 New members are welcomed into this 225 year long story and invited to take their part in the ongoing story of St. George’s Church in St. Catharines, Ontario.